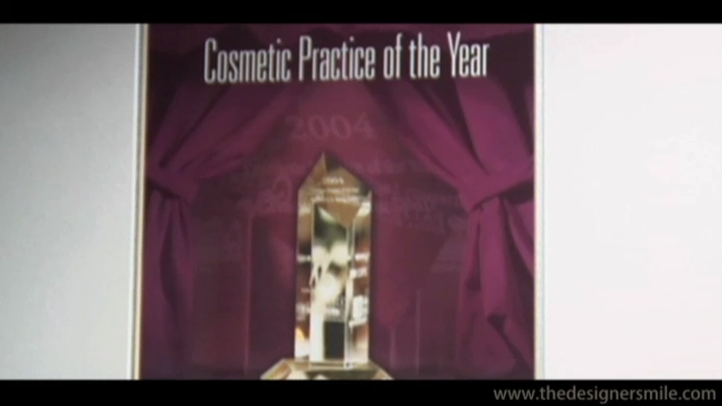 The Cosmetic Dentistry Institute in Troy, Michigan is proud to have been named the “Cosmetic Practice of the Year”. Though we appreciate all of the recognition, it's what our patients say to us after their procedures, that really makes us feel great! Cosmetic Dentistry Institute Named Cosmetic Practice of the Year! The Cosmetic Dentistry Institute in Troy, Michigan was proud to be named the top cosmetic dental practice in the country, winning the Cosmetic Practice of the Year (CPOY) Award. The CPOY board recognized the practice for its excellence in cosmetic dentistry based on their outstanding aesthetic results and clinical excellence; complete patient care and treatment; advanced technologies; commitment and leadership; superior physical environment; and excellent management of the practice. This prestigious award was given to the Cosmetic Dentistry Institute after it was judged superior to hundreds of dental practices nationwide. Dr. Craig Goldin has also received multiple honors in the Smile Gallery Competitions at the annual Scientific Sessions of the American Academy of Cosmetic Dentistry. Dr. Marcy Goldin said, "We are honored to achieve this national award, as it confirms our practice philosophy of delivering the best dentistry possible to our patients. A true dedication to excellence runs through each and every staff member of our office." The CPOY Award, which began in 2002, is sponsored by Philips Oral Healthcare, Levin Group Dental Consultants and Ascend Media. Each of the doctors at the Cosmetic Dentistry Institute have been selected by their colleagues as HOUR Detroit's "TOP Dentists." The office has also been honored as "Best of Troy" by the Troy Chamber of Commerce. The Cosmetic Dentistry Institute was honored by winning the 2012 Dental Office Design Competition, an award sponsored by the American Dental Association. The award showcased the office as the number one dental practice in the country. It focuses on up to date technologies, ergonomics and patient comfort. Entries are judged by a panel of dental industry experts. Contact the Cosmetic Dentistry Institute today to schedule a consultation or if you have further questions. We are eager to use our award-winning skills to give you a stunning smile.